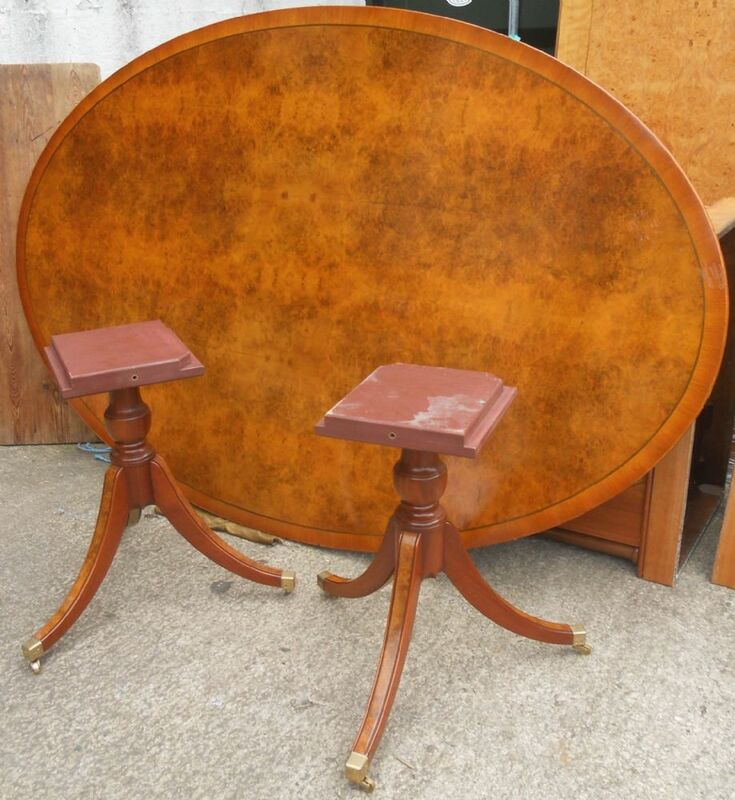 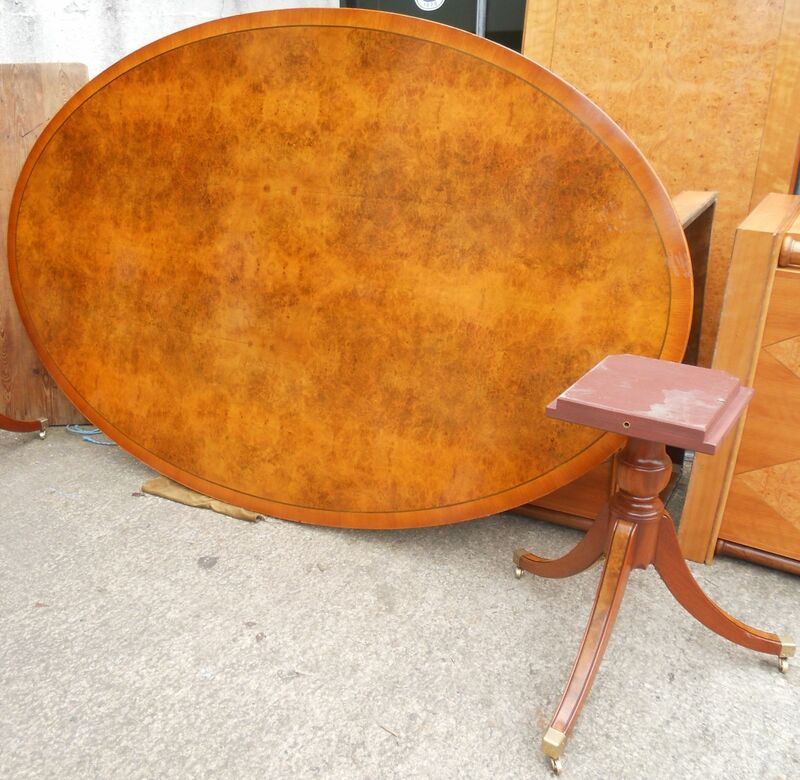 Very large, handmade, oval walnut twin pedestal dining table by E G Hudson. 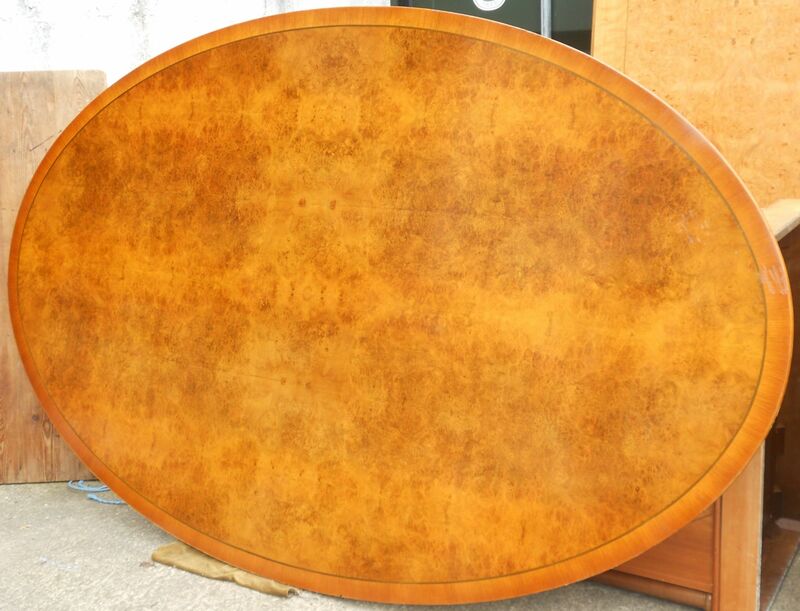 Good heavy quality, well made oval dining table with superb burr walnut top. 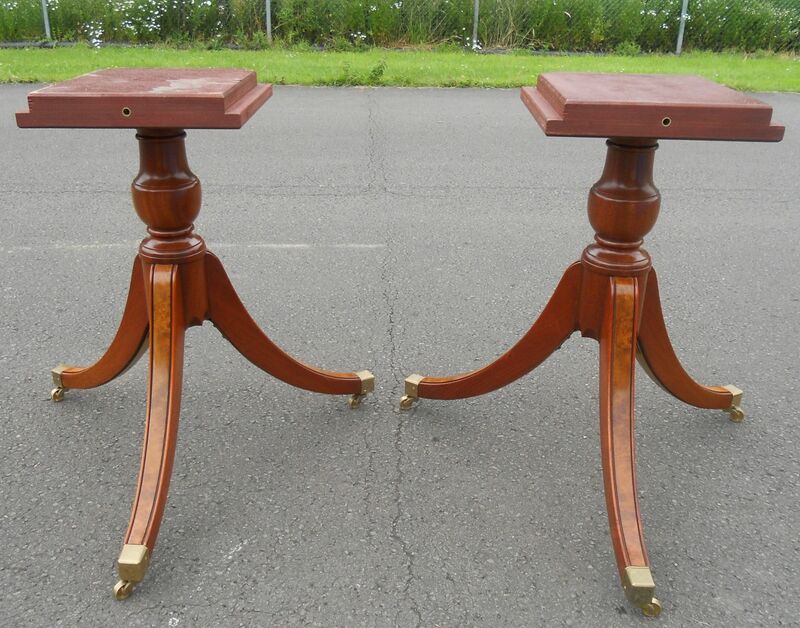 Raised on twin pillar pedestal supports with brass toes and castor feet.